Zeiss have announced a brad new Lightweight Zoom - LWZ.3 with a very decent range - 21-100mm T2.9-3.9 with Super 35 sensor coverage and Interchangeable lens mount system for maximum flexibility. Documentary and wildlife shooters in particular should take a look at this lens as the lens not only features a good range of focal lengths, but is also quite affordable - at just over £7000 + VAT. This entry was posted in IBC, IBC - 2016 UPDATES, Accessories, Lenses, News and tagged Compact Cine Zoom, Cine Zoom, Zeiss LWZ.3 Lightweight Zoom 21-100mm/T2.9-3.9*, Zeiss LWZ.3, Documentary, Accessories, Zeiss, Lenses, Wildlife on 2nd September 2016 by Visuals. Legendary tripod manufacturer Sachtler announced their latest addition to their successful FSB medium range tripod line-up - the new FSB 10. This is quite a major announcement as the FSB 10 is the first 100 mm fluid head in the FSB line. This means the FSB 10 is able to support up to 12 kg/26.5 lbs in payload making it perfect for medium sized cameras like the Sony FS7, Canon C100 Mark II, C300 Mark II and similar. This entry was posted in IBC, IBC - 2016 UPDATES, Accessories, News and tagged Sachtler FSB 10, IBC 2016, Sachtler, Tripods, Accessories on 31st August 2016 by Visuals. Sony just announced a version 2 of their highly successful and BVM-X300 4K OLED Master Monitor, which delivers incredible image quality for mission critical picture control. Version 2 of the BVM-X300 will include an HDMI input for easier connection with video cameras and blu-ray players, in addition to a 2nd 3G-SDI 4K Input for easier system integration. This entry was posted in Post Production, Accessories, News and tagged Sony BVM-X300 4K Monitor, 4K Monitor, Sony 4K Monitor, Accessories, Monitors, Sony on 4th August 2016 by Visuals. The Laowa 12mm f/2.8 ZERO-D ultra-wide angle lensis currently on Kickstarter and it promises to be a stunning full-frame lens not just for landscape or astro photographers, but video professionals as well. This entry was posted in Accessories, Lenses, News and tagged Full-Frame Lenses, Ultra-Wide Angle Lens, Laowa 12mm f/2.8 ZERO-D, Venus Optics, Kickstarter, Accessories, Lenses on 1st August 2016 by Visuals. The Zoom H4n has been a very popular external recorder for DSLR filmmakers, and now, Zoom are taking the new H4n PRO successor model to a whole new level. 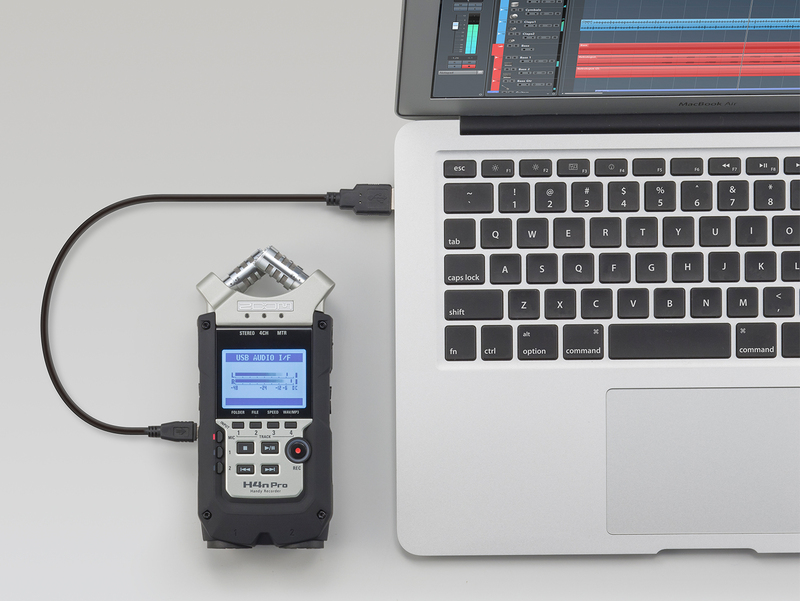 If you are looking for an affordable external field recorder, this very well may be it. This entry was posted in Accessories, Audio, News and tagged DSLR Audio, Zoom Audio Recorder, Zoom H4n Pro, filmmaking, Accessories, Audio on 3rd June 2016 by Visuals.